Not so long ago, most people found the idea of apparel for dogs extremely funny. Even basic utilitarian outfits such as weather-resistant coats were usually met with irreverent amusement. But things have now changed dramatically. Animal fashion is booming on the market, and it goes beyond well-designed garments for inclement weather. Modern fashion creations for pets range from vibrant hoodies and customized tees to tuxedos, dresses, and even beach wear. If you want to know how to best dress your canine friend, check out on the latest fashion trends for human beings. Pooch parents usually opt for fabrics and colors similar to the ones they wear themselves. Nowadays, most dog owners understand that their beloved pets need protective clothing to safeguard them against certain elements. That said, most clothes aren’t strictly utilitarian, and incorporate every swag and fashion brands you may want for yourself. 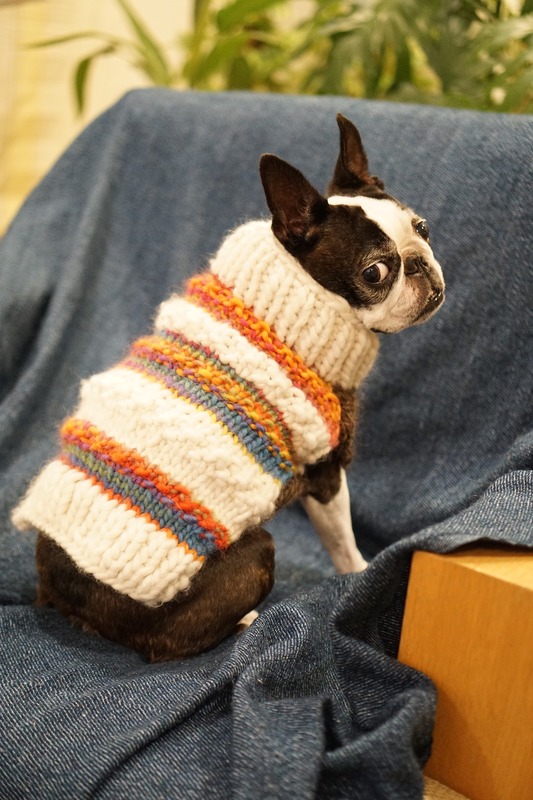 Several companies offer a massive collection of stylish, handmade wool sweaters for cold fall weather, dog hoodies, snowsuits, as well as bling accessories. These beautiful garments protect your pet from adverse weather while making him look sharp and fashionable. Patterned geometric prints and easy-to-put-on harnesses will kill it all! Japanese street fashion and style. The Harajuku is very popular with explosions of color as well as bold designs. Must-have packages for summer include bright dresses and some doggie sunglasses. Statement tees and hooded vests shouldn’t miss out on your list either. Wearable technology. Look for garments that feature LED lights and accessories. Classic rocker look. The conventional James Dean look is famous, but with a stylish twist. Traditional black leather and a strikingly bright orange look will make your cherished dog stand out.